Seen any Nintendo Switches floating around recently—for example, in the viral EWNetwork video of a YouTuber brandishing his shiny, new Switch console? Don’t hold your breath for a leak. It’s a fake. It was miraculous. A Switch, available and playable, in Brooklyn, many months prior to its release? Holy Nintendo, Batman! Redditors quickly went about verifying the console’s authenticity. They soon noticed that, well, there are some discrepancies. 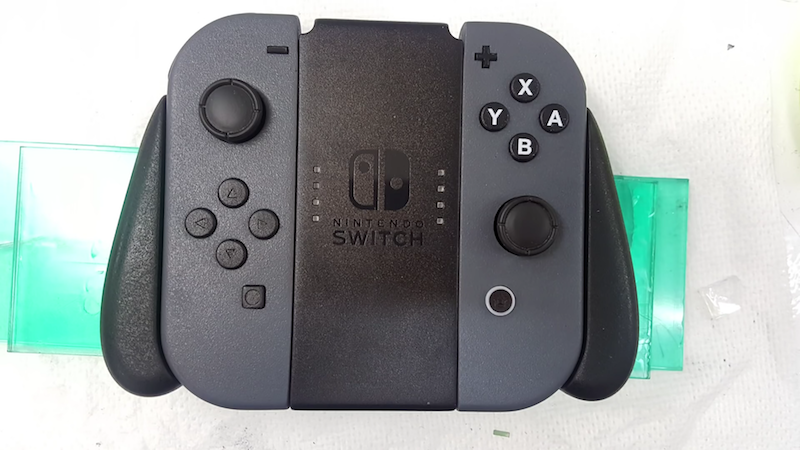 The buttons, for example, looked way different from the Switch’s in official advertising materials. The fonts didn’t match at all. It was, indeed, a fake. And now we know how it came to be. “We had to do quite a bit of guesswork on the back,” Sandqvist said. All in all, it looks just like the console that appeared in the Switch trailer. Except those damned buttons. It’s an impressive feat for a fake console. Seriously impressive. Also seriously deceptive. Don’t believe what you see, and especially if it’s a leaked Nintendo console. [Correction—2:00 PM]: An earlier version of this story alleged that Etika launched a funding campaign for fear of repercussions from Nintendo. A fan, in fact, launched the campaign. Additionally, Etika’s latest video about “Life With Nintendo Switch,” previously linked to in this piece, disclosed that the Switch is fake. We apologize for the error.